1) (King’s Newton, co. Derby; granted 3 July, 1711). Gu. on a chev. ar. fimbriated or, three escallops sa. Crest—A mitre gu. banded and stringed or, charged with a chev. ar. fimbriated of the second, thereon three escallops sa. Motto—Audax omnia perpeti. 2) (co. Kent). Per pale ar. and sa. two wolves and three cinquefoils counterchanged, a bordure per pale gu. and or. 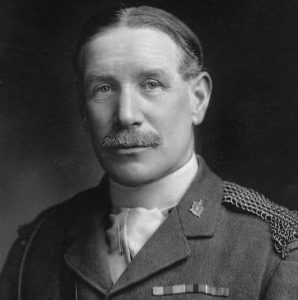 3) (Lieut.-Col. Harding, Upcott House). Ar. on a bend az. three martlets or. Crest—A falcon displ. ppr. 4) (Baraset, co. Warwick). Erm. a fesse chequy or and az. Crest—On a chapeau az. turned up erm. a boar pass. or. 5) (Comb Martin and Upcot, co. Devon; the learned Thomas Harding, D.D., Fellow of New College, Oxford, the antagonist of John Jewell, Bishop of Salisbury, bom at Comb Martin, was a son of this family). Ar. on a bend az. three martlets or. Crest—A falcon, wings expanded. 6) (Coaley, co. Gloucester, and Rockflelds, co. Monmouth). Gu. three greyhounds in palo courant or, collared az. Crest—A demi leopard ramp, erased erm. attired and gorged with a chain or. 7) (Houldingfield co. Durham). Gu. three greyhounds courant in pale or, collared az. (another, ar.). 8) (William Harding, citizen of London. Visit. 1568). Gu. three greyhounds courant in pale or, collared az. Crest—A demi leopard ramp. erm. gorged with a collar az. bezantee, chained or. 9) (London; granted 30 Aug. 1568). Or, on a bend az. three martlets ar. a sinister canton of the second, charged with a rose of the first, betw. two fleurs-de-lis of the third. Crest—A demi buck ppr. attired or, holding an anchor of the last. 10) (Newtowne, co. Wilts). Ar. on a bend az. three martlets or. 11) Vert three acorns or. 12) Ar. a saltire engr. az. 13) (Robert Harding, Treasurer’s Remembrancer in Ireland, 1655, Fun. Ent. of his dau. 1660). Or, on a bend az. three martlets ar. 14) (allowed by Betham, Ulster, 1820, to Henry Harding, Esq., of the Treasury). Ar. on a bend sa. betw. two annulets gu. three martlets or. Crest—A martlet or, billettee gu. 15) (Reg. Ulster’s Office). Ar. on a bend az. three martlets or, a canton ermines. 16) (Maryborough, Queen’s co.; Fun. Ent. of Margaret (d. 1639), wife of Hugh Harding, of Dublin, third son of Thomas Harding, of the former). Ar. on a bend sa. three martlets or. 17) (granted to Rev. Henry Sirre Hardinge, of Monkstown, co. Dublin). Ar. a bend betw. two mascles gu. on a canton or, a fleur-de-lis az. Crest—A raven rising ppr. Motto—Non melior patribus. 18) (Boundes Park, co. Kent, bart.). Gu. on a chev. ar. fimbriated or, three escallops sa. and as an honourable augmentation, on a chief wavy of the second a dismasted French frigate with her colours struck, towed by an English frigate all ppr. Crest—Of augmentation, on a wreath a hand fessewise, couped above the wrist, habited in naval uniform, holding a sword erect, surmounting a Dutch and French flag in saltire, on the former inscribed “Atlanta,” on the latter, “Piedmontaise,” the blade of the sword passing through a wreath of laurel near the point, and a little below, through another of cypress, with the motto “Postera laude recens.’’ Family Crest—A mitre gu. charged with a chev. as in the arms. Motto—Postera laude recens. 19) (Viscount Hardinge). Gu. on a chev. ar. fimbriated or, three escallops sa. Crest—A mitre gu. thereon a chev. ar. fimbriated or, charged with three escallops sa. Supporters —On either side a lion ppr. that on the dexter murally crowned or, and supporting a flagstaff ppr. therefrom flowing to the dexter a flag or, and that on the sinister crowned with an eastern crown and supporting a like staff, therefrom flowing to the sinister a flag also or. Motto—Mens aequa rebus in arduis. Harding is a primarily southern English, southern Welsh, and Irish last name that derives from the Old English personal (first) name Hearding, which itself was originally a patronymic (son of) from the name Hard. The name made its way into Ireland during the 1400s AD. It can also be a Dutch or North German name, a shortened form of various Germanic names that all begin with the word hard, meaning hardy, strong, or brave, perhaps referring to a person with such attributes. In medieval times or the Middle Ages, a Viking family (Vikings, from Scandinavia had raided the coast of the British Isles) bore this surname. In summary, the names to appear Germanic or Anglo-Scandinavian in origins. This Nordic or Teutonic name is still very popular today, ranking in the top 1,000 most common last names in the following countries: United States, England, Scotland, Wales, Ireland, Canada, New Zealand, Australia and South Africa. 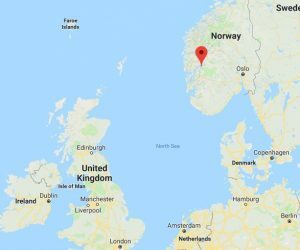 The websites also offers the following interesting theory: “There seems to be two sources which may be linked, one from Norway – the Hardanger Fjord, where people are still called “Hardings” or “Hardinger” (Viking times: “Hardingar”): the dialect of the people from this area is known as Hardingmål. The other as Danish/Angle hordes where they were recorded in the Anglo Saxon Rune Poem as the Germanic warrior tribe “Heardingas”. Both groups may have originated from the same source – the Charudes of the Jutland peninsula, who under pressure of expanding groups around them moved to Horderland/Hardanger area where they became the Horders or Hardinger”. 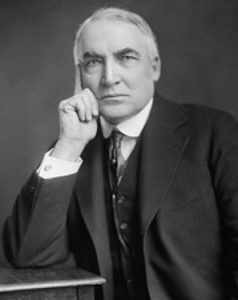 The name Harding was present in the literature and mythology of several cultures. 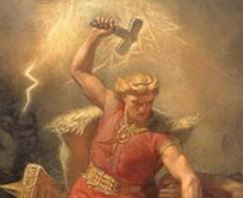 For examples, in Icelandic stories, they were called the “Haddings”, and had a leader named Hadding who was protected by the gods Odin and Thor. Some spelling variants or names with similar etymologies include Hardin, Hardinge, Hardings, Hearding, Hardding, Hartding, and others. The last name Harding ranks 823rd in popularity in the United Status as of the 2000 Census. The name ranks particularly high in the following four states: Delaware, Utah, and Maryland. The surname Harding frequency/commonness ranks as follows in the British Isles: England (164th), Scotland (655th), Wales (134th), Ireland (759th) and Northern Ireland (1,105th). In England, it ranks highest in counties Buckinghamshire, Wiltshire, and Hampshire. In Scotland, the surname ranks highest in Wigtownshire. In Wales, it ranks highest in counties Montgomeryshire and Radnorshire. In Ireland, it ranks highest in county Kilkenny. In Northern Ireland, it ranks highest in county Antrim. The name is also present throughout the remainder English speaking world: Canada (604th), New Zealand (246th), Australia (235th), and South Africa (690th). Henry Brougham Guppy’s 1890 book Homes of Family Names in Great Britain states the following in regard to this last name: “Mostly confined to the south – west of England, being at present best represented in Somerset and Wilts. Its disconnected occurrence in other parts of England is, however, noticeable”. The Hundred Rolls of 1273 AD, a census of Wales and England, known in Latin as Rotuli Hundredorum lists two bearers of this surname: Hugh Harding in Cambridgeshire and Nicol Harding in Oxfordshire. Robert filius (son of) Harding and Maurice filius Harding are both documented in the Rotulo Litterarum Clausarum in Turri Londinesi. The Fine Roll of 1161 AD lists one Nicholas filius Hardinge. The Poll Tax of Yorkshire lists Johannes Hardyng and Thomas Hardyng in 1379 AD. The lineage or ancestry of this branch of the Harding family tree traces back to Judd Harding who was born in 1662. He married Susanna, daughter of William Arden of Hampton, and had a son with her, also named Judd. This Judd was born in 1692. He also had a son named Judd. This son, Judd Harding, was an Esquire of Solihull, county Warwick, a Justice of the Peace, and a Captain of the Warwickshire militia, who was born in 1730. He married Elizabeth Hunt, of Stratford-on-Avon, and had one daughter (Charlotte) and the following give sons with her: 1) Joseph (his successor at Solihull, a lawyer, had son named George), 2) William (see below), 3) John (member of Royal Artillery, second in command under the Duke of Wellington at Copenhagen, had a son named Major-General George Judd), 4) Judd, and 5) Thomas. 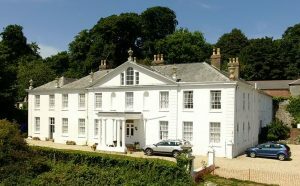 His second son, William Harding, was an Esquire who went to India in the Civil Service, who returned to England and established an estate on which he built the mansion of Baraset in 1800. He was the Magistrate of that county and was a Gentleman of the Privy Chamber to George III. In 1784, he married Harriet Sweedland, and had issue with her as follows: 1) William Judd (of Baraset), 2) Charles (E.I.C.’s Civil Service, Bengal, married Eliza Anne Hamilton), 3) Reverend Henry (married Lady Emily Feilding, daughter of Viscount Fielding, and had a son named William Fielding, discussed more below, as well as three daughters), 4) Reverend John (married Anna, eldest daughter of Reverend Thomas Cutler of Rudston Read), 5) Francis (Captain of the Royal Navy, married Davidona Eleanor, daughter of Brigadier General Charles Dallas, Governor of St. Helena, had children) 6) Edward (Benegal Civil Services, died in the East Indies), 7) Catherine (married W.H.C. Plowden was an Esquire, died in China), 8) Charlotte Sophia (married Reverend William Wheler, son of Reverend Sir Charles Wheler, Baronet), 9) Elizabeth Octavia (married George Baker, Commander of the Royal Navy, son of Sir Robert Baker), 10) Jane (married Reverend Thomas Hunt of Boreatton Park), 11) Harriett (married James Molony of Kiltanon), 12) Sophia (married Samuel Steward, Esquire of Lincoln’s Inn, son of Colonel Samuel Steward of Leamington). He died in 1822 and was succeeded by his son, William. This son, William Judd Harding was an Esquire of Baraset, county Warwick, Justice of the Peace, and Deputy Lieutenant who was born in 1788. 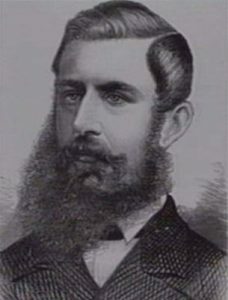 In 1830, he married Elizabeth, daughter of Robert Denison of Kilnwick Percy and Frances Brooke, but died without posterity in 1867, whereupon he was succeeded by his nephew, William F. William Feilding Harding was an Esquire of Baraset, county Warwick, was a Justice of the Peace and member of the Royal Navy who was born in 1829. In 1863, he married Louisa, daughter of Reverend George Rudston Read, Rector of Sutton-on-Derwent, county York, and had issue with her as follows: 1) William Basil, 2) Henry George, 3) Arthur Hamilton, 4) Cecil Cholmley, 5) Helen Louisa, and 6) Katherine Emily. The Harding family crest of this branch of the family is blazoned in the medieval art of heraldry as follows: Ermine, a fess chequy or an azure. Crest: On a chapeau azure turned up ermine, a board passant or. They were seated at Baraset, Stratford-on-Avon, county Warwick. This family was seated in ancient times at Comb Martin, Devon. Thomas Harding, D.D., Fellow of New College, Oxford, was born in 1512. He was the son of this family. Later came Robert Harding. Robert and his wife Ms. Limebear, had a son named Thomas. 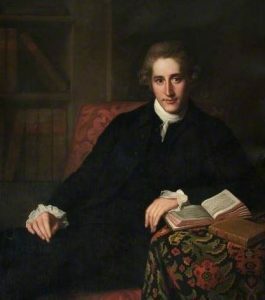 This son, Thomas Harding, Esquire of Upcott, married Mary Bryan, and had issue with her as follows: 1) Robert (heir), 2) Thomas (had son named Reverend John Limebear Harding of Monkleigh, had sons Thomas Goldie and Reverend Joseph Limebear), 3) Reverend John, and 4) a daughter (married Thomas Terry). 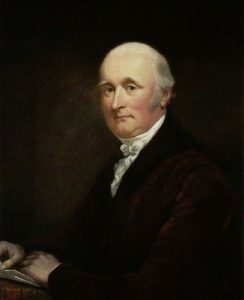 His eldest son, Robert Harding, was an Esquire of Ucpott, who in 1780, married Dionisia, daughter of Sir Bourchier Wrey, Baronet of Tawstock Court, and had issue with her as follows: 1) Thomas Wrey (his heir), 2) Robert (Justice of the Peace and Captain in the Royal Army), 3) William (of Upcott), 4) Reverend John (Rector of Goodleigh, born 1800), 5) Dynonisia, and 6) Anna Maria. His eldest son, Thomas Wrey, died in 1866 and was succeeded by his second brother, William. Lieutenant Colonel William Harding of Upcott House, county Devon, England, was a Justice of the Peace born in 1792. The Harding Coat of Arms for this branch of the genealogical family tree is blazoned in heraldry as follows: Argent, on a bend azure three marlets or. Crest: A falcon displayed proper. This landed/gentry family was seated at Upccot, near Barnstaple, in England (once called Great Britain). The genealogy or ancestry of this branch of the Harding family tree traces back to around 1630, when they offshoot from the old Warwickshire branch, and moved from Packington to Tamworth where they procured property. In 1668, William Harding became a magistrate and was chosen to carry the charter of the Borough to London and delivery it to King James II of England. In 1669, he married Mary Pickard, and had a son with her named William. This son, William Harding, was an Esquire who in 1694, married a first cousin of Thomas Guy (founder of Guy’s Hospital), and had a son, also named William. This William Harding, Esq. married Mary, daughter of John Bradburn of Winchester, and had an only son with her, also named William. This William Harding, Esq. was born in 1750. 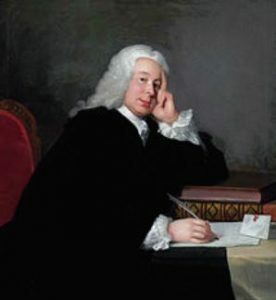 He married Martha, daughter of Samuel Tuffley of Leicester, and had children with her as follows: 1) William (see below), 2) Thomas (died in Hamburgh), 3) Charles (of Bole Hall, married Ellen Willock, had issue named Anne, Ellen, Charlotte, Mary, Emily, and Frances Augusta), 4) Samuel Tuffley (of Manchester), 5) John (a banker, of Bridlington, county York, England). William Harding was an Esquire of Copeley Lodge, county Warwick, was born in 1778. In 1800, he married Rebecca, daughter of Samuel Pemberton of the Laurels and his wife Mary, and they had two children together: William Sextus (born 1806, married Anne, daughter of Charles Harding of Bore Hall) and Caroline (married Henry Talbor of French House). The coat of arms is blazoned as follows: Azure, a fesse argent, between three fleurs-de-lis, or. Crest: A fox, sejant. The family was seated at Copeley Lodge, county Warwick. This pedigree begins with Reverend Hardinge, Rector of Stanhope, who was a member of the Baronet Hardinge family. He had a son named Henry Hardinge, 1st Viscount Hardinge, who was born at Wrotham, county Kent, in England in 1785. He entered the British army and rose through the ranks. He served in the Peninsular War and was wounded at Vittoria and Blucher at Ligny. After this, he held numerous positions, including Chief Secretary of Ireland, Secretary at War, and Governor General of India in 1844. He fought a rebellion of the Sikhs there in 1848. He was created Viscount in 1846. He was a Colonel of the 57th Regiment of Foot and held one cross and five clasps for his service. He was a Knight of orders in Prussia, Holland, Portugal, and Spain. He was a member of the House of Commons in 1820. 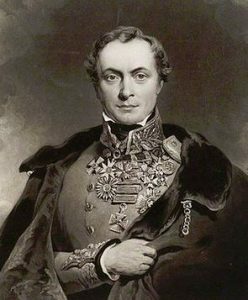 In 1821, he married Lady Emily Jane, daughter of the 1st Marquess of Londonderry, and had four issue with her as follows: 1) Charles Stewart, 2nd Viscount (see below), 2) Sir Edward Arthur (General in the Army, Colonel of the Coldstead Guards, Commander in Bombay Army from 1881-1885, Governor Gibraltar from 1886-1890, married Mary Georgiana Frances, daughter of Colonel A.F. Ellis, had issue named Sir Arthur Henry, Alberta Mary, Mary, and Alice), 3) Francis Elizabeth (married General Sir Arthur Thurlow Cunynghame, son of Sir David, had issue), and 4) Emily Carolina (died 1876). He died in 1856 and was succeeded by his elder son, Charles. Charles Stewart Hardinge, 2nd Viscount Hardinge, was a Deputy Lieutenant, Colonel of the 1st Volunteers Bn. R. West Kent Regiment, and a Member of Parliament from Downpatrick, who was born in 1822. In 1856, he married Lavinia, daughter of 3rd Earl Lucan, and had children with her as follows: 1) Charles Henry (3rd Viscount), 2) Charles (created Baron Hardinge of Penshurst, see next section), 3) Arthur Stewart (Major of the Royal Scots Fusiliers), 4) Robert Nicholas (born 1863, married Mary, daughter of Sir Robert Lynche-Blosse, 10th Baronet, had a son named Patrick Robert who was a Major of the Cameronians Scottish Ridles who served in World War I), 5) George Arthur (Captain of the Royal Navy, born 1864), 6) Lavinia, 7) Emily Maude (married George Hanbury Field of Ashurst Park), and 8) Mary Hilda Madelina (married Reverend Ernest Wild, Rector of Barming, Maidstone, had issue). He died in 1894 and was succeeded by his eldest son, Henry. Henry Charles, 3rd Viscount, was a Justice of the Peace and Deputy Lieutenant for county Kent, England who also served in the Nile Expedition. He was born in 1857. He was also a Colonel of the 6th Bn. Rifle Brigade and a Captain of the Rifle Brigade. In 1891, he married Mary Frances, daughter of Ralph Nevill, and had four children with her as follows: 1) Lieutenant Henry Ralph (born 1895, killed in action in May of 1915), 2) Caryl Nicholas Charles (4th Viscount), 3) Ruby (Justice of the Peace, in 1928 she married Major-General Frederick George Beaumont-Nesbitt, had issue), and 4) Sybil Mary (married the 4th Baron Penrhyn and later Lieutenant Colonel Denzil George Fortescue). He died and was succeeded by his son Carly in 1924. Caryl Nicholas Charles Hardinge, The 4th Viscount Hardinge, of Lahore, and King’s Newton, county Derby, was born in 1905 and educated at Harrow and R.M.C. The Hardinge family crest is blazoned in heraldry (an art very popular in the Middle Ages and well into the 20th century) as follows: Gules, on a chevron argent, fimbriated as in the arms. Supporters: On either side a lion proper, that on the dexter morally crowned or, and supporting a flagstaff proper, therefrom flowing to the dexter a flag or; and that on the sinister side crowned with an eastern crown, supporting a like staff, therefrom flowing to the sinister, a flag, also or. Motto: Mens aequa rebus in arduis. They were seated at South Park, Penshurt, Kent, England in present day United Kingdom. 6) Juliana. His son, Sir Richard Hardinge, 1st Baronet, of Belleisle, Fermanagh, was born in 1756 and created a Baronet in 1801. In 1793, he married Mary, daughter of Ralph Fore, Earl of Ross, and later Caroline Munster, daughter of Major-General Wulff. He died without posterity in 1826 and was succ.eeded by his nephew, Charles. 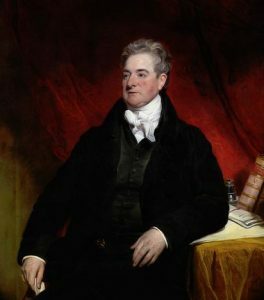 Reverend Sir Charles Hardinge, 2nd Baronet, was born in 1780. In 1816, he married Emily Bradford, daughter of Kenneth Callander of Craigforth, county Stirling, Scotland, and had the following issue with her: 1) Sir Henry Charles (3rd Baronet), 2) Sir Edmund Stracey (4th Baronet), 3) Robert James (married Martha, daughter of Major Sadlier of Sopwell Hall, Kingston Canada, had issue named Charles Kerkomer, Edmond Cecil, and Emily Bligh), and 4) Caroline Bradford (married Ven. R.W. Browne, Archdeacon of Bath and Canon of Wells). He died in 1864 and was succeeded by his son, Henry. Sir Henry Charles Hardinge, 3rd Baronet, was born in 1830. He died in 1873 and was succeeded by his brother, Edmund. Sir Edmund Stracey Hardinge, 4th Baronet, was a Justice of the Peace and Deputy Lieutenant who was born in 1833. In 1877, he married Evelyn Stuart, daughter of Major-General Evan Maberly, and had the following issue with her: Sir Charles Edmund (5th Baronet), Evelyn Violet, Marion Laura, and Muriel Emily (married John Christie MacLeod of Duncaple, Westend). He died in 1924 and was succeeded by his son Charles. Sir Charles Edmund Hardinge, 5Th Baronet, was born in 1878 and educated at Harrow and Trinity College, Cambridge. He died in 1920. He married Evelyn Stuart Maberly. The coat of arms of this family is blazoned as follows: Gules, on a chevron argent, fimbriated or, three escallops sable, and as an honourable augmentation, on a chief wavy, of the second, a frigate, wholly dismasted, with the French flag flying beneath the British ensign, towed towards the dexter by a frigate of apparently inferior forces in a shattered state, the British colours hoisted all proper. Crests: 1) A dexter hand, couped above the wrist, vested in the uniform of a British Naval Office and grasping a sword proper, pomel and hilt or, surmounting, a Dutch, and French flag in saltire; on the former inscribed “Atalanta” on the latter “Piedmontaise”; the blade of the sword passing through a wreath of laurel near the point and a little below through another of cypress, all also proper, 2) (Hardinge) a mitre gules, garnished or, thereon a chevron, charged and fimbriated, as in the arms. Motto: Postera laude recents. 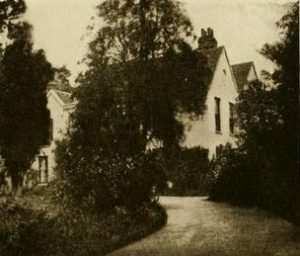 They resided at Daleham Gardens. George Rogers Harding was of St. John’s Wood, Ashgrove, Brisbane, Queensland Australia. He was a Justice of the Supreme Court of Queensland, and was at times, Chief Justice. He was born in 1838 at Taunton, county Somerset, England. In 1861, he married his first wife, Emily, daughter of Thomas Morris of Stone House. In 1889, he married his second wife, Isabella, daughter of John Grahame of Sherbourne Lodge in Sydney. He had issue, including four sons: George Rogers (1868), Walter Charles (1870), Francis Arandel (1872), and Thomas William Amyas (1882). He attended Magdalen College, Cambridge and was called to the bar at Lincoln’s Inn in 1861. He arrived in Queensland, Australia in 1866. The lineage or pedigree of this branch of the Hardinge family tree begins with Charles Steward, 2nd Viscount Hardinge. 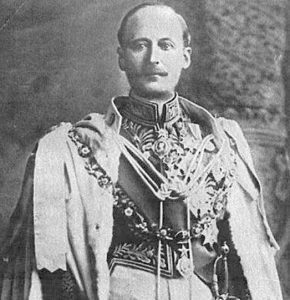 His second son was Charles, 1st Baron Hardinge of Penshurst. He was born in 1858. He held numerous positions throughout the British Empire (ex. Secretary of Embassy at St. Petersburg and Viceroy of India from 1910-1917). In 1890, he married Winifred Selina Sturt, daughter of the 1st Baron Alington, and had children with her as follows: 1) Edward Charles (Lieutenant of the 15th King’s Hussar, wounded in World War I), 2) Alexander Henry Louis (2nd Baron), and 3) Diamond Evelyn Violet (married Major Robert Alexander Abercromby in 1823). The Hardinge coat of arms is blazoned as follows: Gules, on a chevron argent, fimbriated or, three escallops, sable; and as an honourable augmentation, on a chief wavy, of the second, a frigate, wholly dismasted, with the French flag flying beneath the British ensign, towed towards the dexter by a frigate of apparently inferior force in a shattered state, the British colours hoisted all proper. Crests: 1) (of augmentation): a dexter hand couped above the wrist, vested in the uniform of a British naval officer and grasping a sword in saltire; on the former inscribed “Atalanta” on the latter “Piedmontaise”; the blade of the sword passing through of wreath of laurel near the point, and a little below through another cypress, chevron charged and fimbriated, as in the arms. Supporters: On the dexter side a brown bear, and on the sinister side a Bengal tiger, both proper. Morro: Pro rege et patria. John Harding (born in Norhampton, England in 1565, went to colonial America). He had the following issue: Richard, John, Lemuel, Amos, Oliver, Joseph, George, and Phebe (Brown). His son George was born in St. Mary’s London IN 1603. He married Mary Orley and had a son with her named Thomas. Thomas Harding was born in Middlesex, England around 1635. He married Anne Moseley and went to Virginia. His son, Henry Harding, was born in Heathsville, Virginia in 1664. He married Mary Jane Aldridge, and had three sons with her: Henry, William, and John. His son Henry was born in Virginia around 1690. He married Ann Belcher and had a son with her named Charles. Charles Harding was born in St. Stephen’s Parish, Stafford, Virginia. He married Rachel Lunsford and had the following children: William, Ann, Jane, Charles H., John Scott, Thomas, Moses, and George. His son, John Scott Harding, was born in Overwharton Parish, VA.
Robert Harding died in London, England in 1515 and had the following issue: Robert, Thomas, Elizabeth (Pakington), William, Antony, and Agnes (Harlowes). His son William was born in London around 1505 AD. He married Cecily Marshe and had the following issue: Helen (Browne), Frances, and Catherine (Onslow). 1) Abraham Harding (or Harden?) of Dedham, lived at Braintree, was a freeman in 1645, and was one of the founders of Medford. He died in 1655. He married Elizabeth and had issue named Abraham, John, and others. 3) John Harding, a freeman in 1640, may have been from Weymouth, where he shared in a division of town lands in 1682. 5) John Harding of Eastman, married, in 1660, Bethia (perhaps daughter of Joseph Cook) and had the following issue with her: Martha (1662), Mary (1665), Joseph (1667), Josiah (1669), Maziah, John (1637), Nathaniel (1674), Joshua (1676), Abiah (1680), and Samuel (1685). 6) Philip Harding of Boston, MA, in 1659, married Susanna Haviland. He was at Marblehead in 1674. 7) Robert Harding, of Boston, came with Winthrop in the fleet in 1630. He married Philippa Hammond. He was a captain and selectman. He moved to Rhode Island. He later married Esther, daughter of George Willis of Hartford, and later went come and was a merchant in London. 8) Thomas Harding of Boston, 1656. Elizabeth Harding, age 12, came to New England aboard the Abigall in 1635. Christopher Harding owned 100 acres of land in the territory of Greate Weyonoke, and he was recorded as living in Virginia in 1623. Other settlers in colonial America bearing this surname who came in the eighteenth century include: Conrad Harding (New York 1743), James Harding (Philadelphia 1745), and Philip Harding (Pennsylvania 1765). In Canada, one of the first settlers bearing this last name was Michael Harding, who came to Nova Scotia in 1757. In Australia, in 1823, John and William Harding, English convicts from Buckinghamshire and Gloucestershire, respectively, came to Van Diemen’s Land (present day Tasmania) aboard the Asia. 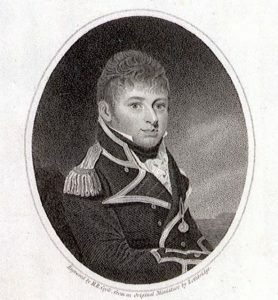 In 1824, Stephen Harding, a convict from Essex, England, came to New South Wales, also aboard the Asia. In 1842, the following bearers came to Wellington, New Zealand: John Harding, age 21, a carpenter by trade, and Emma Harding, age 30, aboard the Birman. 1) Or on a bend azure 3 martlets argent, a sinister canton [azure] charged with a rose of the first bet 2 fleurs-de-lis argent Crest: a demi-buck proper attired [or] holding an anchor [of the last]. Notepaper Benjamin Fosdick Harding, Milton, Mass. 2) Argent on a bend engrailed gules a crescent bet 2 leopards’ faces; on a chief azure 3 catharine wheels or Crest: a leopard’s head couped ppr. Framed with Simes of Portsmouth, into which Hardy married. Water color in house at Petersham, Mass. *In the crest of augmentation granted to this family, are a Dutch and French flag in saltire, on the former of which the name, “Atalanta”, on the latter, “Piedmontaise”, is inscribed. These words commemorate the gallantry of Captain G. Nicholas Hardinge, who when in command of H.M.S Fiorenzo, took the Dutch frigate Atalanta, and afterwards fell in action with the French frigate Piedmontaise, which he also captured. **Captain G.N. Hardinge captured a French frigate in 1808, and her name, “Piedmontaise,” was inscribed on his crest of augmentation. 2) John Harding, citizen, merchant, and tailor of London, brother Robert (Alderman and Sheriff of London), son of John of Newport Pagnell, county Buckinghamshire, grant of arms and crest 30 August 1568 by G. Dethick and Cooke. 3) Robert Harding, citizen, alderman, and Sheriff of London, son of John of Newport Pagnell, August 1568, by Sir. G. Dethick, Cooke, and Flower. 5) Harding to Nott, of South Molton and Torr Down, and Combe Martin, county Devon, 1850s. There are hundreds of notable people with the Harding surname. This page will mention a handful. Famous people with this last name include: 1) Aaron Harding (1805-1875) who was a US Representative from Kentucky who was born in Campbellsville and was in office from 1861-1867, 2) Abner Clark Harding of East Hampton, Connecticut (1807-1874) who served in the US House of Representatives from Illinois from 1865-1869, 3) Arthur Flowers Harding (1878-1947) who was an international rugby player born in Market Rasen, England who played for Cardiff and the London Welsh between 1901-1907, 4) Benjamin Franklin Harding (1823-1899) who was attorney born in Pennsylvania who became a US Senator from Oregon from 1862-1865 and was previously the Speaker of the Oregon House of Representatives from 1860-1861, 5) Warren Gamaliel Harding (1865-1923) who was the 29th President of the United States who was in office from 1921-1923 and was previously a US Senator from Ohio from 1915-1921, the son of George Tryon Harding, born in Blooming Grove, 6) Tonya Maxene Harding (1970) who was an American figure skater from Portland, Oregon who won a silver medal in 1991, 7) Thomas Harding (1448-1532) was an English religious dissident who while waiting to be burned at the stake, was hit on the head with a piece of wood by a spectator and died instantly, 8) Stephen Selwyn Harding (1808-1891) who was the Governor of Utah Territory from 1862-1863, born in Palmyra, New York, 9) St. Stephen Harding (1050-1334) who is a Catholic Saint who was born in Sherborne, Dorset, an English monk and abbot, one of the founders of the Cistercian Order, 10) Sir Peter Robin Harding, son of Peter Harding and Elizabeth Clear, was the Marshal of the Royal Air Force born in 1933, having served in the Gulf War, and 11) Ralph R. Harding (1929-2006) who was a member of the US House of Representatives from Idaho from 1961-1965, having previously served as a missionary for The Church of Jesus Christ of Latter-day Saints, having served in the Korean War. Three of the main heraldic symbols depicted within the Harding Coat of Arms (incorrectly referred to as the Harding Family Crest or Harding Family Shield) are the escallop and greyhound, each which have their own unique meaning. The escallop occurs often in arms, represented as the outside of the shell, sometimes “fluted” of a different color. It has been part of heraldic tradition almost from the beginning of the art, Henry III of England awarded Gules, 3 escallopes argent to Herbert de CHAMBERLEYNE in the 13th century, and it is present in the heraldry of almost all countries. It is believed that they were adopted as badges (pinned on clothes) of those going to the Holy Land on pilgrimage and can be found in the arms of many a crusading family. It is said the pilgrim would be provided food and water by local churches and castles if the bore the escallop. Hence Wade’s suggested association of the scallop with those that “complete long journeys to far countries”. This symbol is long journeys can also be a symbol of hospitality. It should also be noted the escallop is a symbol of Apostle St. James the Greater. According to The Road to Santiago: “Having been a fisherman in Galilea and having taken the road that helped him discover his spirit, the Scallop Shell is the emblem of St. James and its symbolism relates to two layers of the human condition; the physical and the spiritual. St. James was an ordinary pilgrim like the rest of us. He walked a long difficult road with Jesus; he was imprisoned by his raging emotions, and he went through metaphoric fires to free himself and discover the vastness of his spirit. He learned how to live an authentic, peaceful life and he shared his personal lessons with others”. Unlike many of the creatures to be found in heraldry, the greyhound is shown in a very natural aspect and lifelike poses. It is probably the most common member of the dog family to be found in arms, and Wade suggests that we see in its appearance the suggestion of “courage, vigilance and loyal fidelity”. It is a very old breed of dog, dating back to around 3,000 BC in ancient Egypt. Starting in the 800’s AD, the English aristocracy began breeding and raising greyhounds, and for 700 years thenceforth, it was illegal for a commoner to own one. It was used to hunt small animals like rabbits and hares. Clergy often bred greyhounds for nobles.